National Chief of the Assembly of First Nations Perry Bellegarde speaks during the AFN Special Chiefs Assembly in Gatineau, Que., on May 1, 2018. The Liberal commitment to recognizing and reinforcing Indigenous rights faced a major litmus test Tuesday as a special gathering of the Assembly of First Nations embarked on a close, critical look at whether Justin Trudeau’s government truly has their best interests at heart. “We called this special chiefs assembly because there is so much happening. 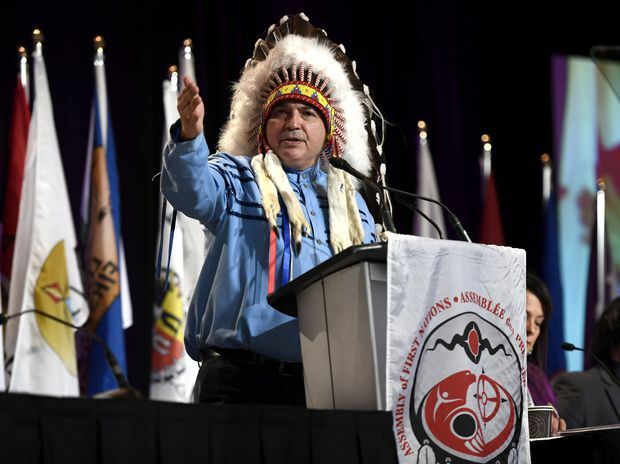 Several pieces of legislation are coming at us and we want to be sure First Nations benefit from all of them,” National Chief Perry Bellegarde told participants as the two-day event got underway. One key focus is the government’s rights recognition and implementation framework Trudeau announced in February, billing it as a significant turning point towards the recognition of Indigenous rights and in fixing Canadian laws, policies and practices. But questions remain on how the framework will be structured, how it will impact treaties, bands and reserves and how it will fit with the federal government’s stated intention to “move beyond the Indian Act,” Bellegarde said. He also made the point that it’s far from clear whether Trudeau will continue to be prime minister after October 2019. 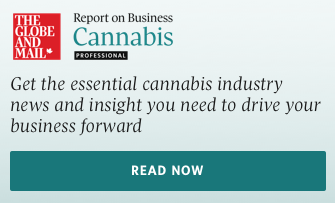 The day’s plenary sessions examined several bills currently making their way through Parliament, including legislation to protect Aboriginal languages, ensure safe drinking water on reserves, and even the Cannabis Act, the government’s much-discussed plan to legalize marijuana. Delegates also debated the merits of ongoing environmental and regulatory reviews, as well as Bill C-262, a private member’s bill that aims to ensure Canada’s laws are in harmony with the United Nations declaration on the rights of Indigenous peoples. As discussions got underway Tuesday, a number chiefs raised concerns that consultations on the framework promised by Trudeau have been lacking and that legislation on rights and Indigenous languages are being rushed in order to see them passed before the 2019 election. Others expressed distrust of the federal government, dismissing Trudeau’s frequent promises of a new nation-to-nation approach as little more than empty platitudes. Trudeau himself is scheduled to speak to the assembly Wednesday. Carolyn Bennett, minister of Crown-Indigenous relations, insisted Tuesday that no final decisions have been made on the rights recognition and implementation framework, which she said has yet to be even written. “We know that the process isn’t perfect and we welcome any advice. We want your communities to know that and we want to continue to improve how we engage,” Bennett told the delegates. Conservative Leader Andrew Scheer took the podium later in the day, striking a conciliatory tone – “open hearts and open minds,” he said – and taking pains to accuse Trudeau’s Liberals of being all talk, no action on Indigenous issues. “Building that trust and mutual respect comes from listening to the Indigenous people of Canada, comes from opening a dialogue and that’s what I’m here to do today,” Scheer said. NDP Leader Jagmeet Singh highlighted his party’s long-standing commitment to forwarding and promoting Indigenous issues. Chiefs and delegates raised their own concerns about the progress of government’s framework and questioned how they are being respected as sovereign nations if their rights are being enshrined in legislation over which they have no direct control. A detailed resolution calling on government to comprehensively engage with and consult First Nations on the framework was met with so many amendments and concerns from the floor it was tabled for later discussion. Chiefs met in a huddle in the evening to discuss how to proceed with the resolution when it is brought back for a vote Wednesday.